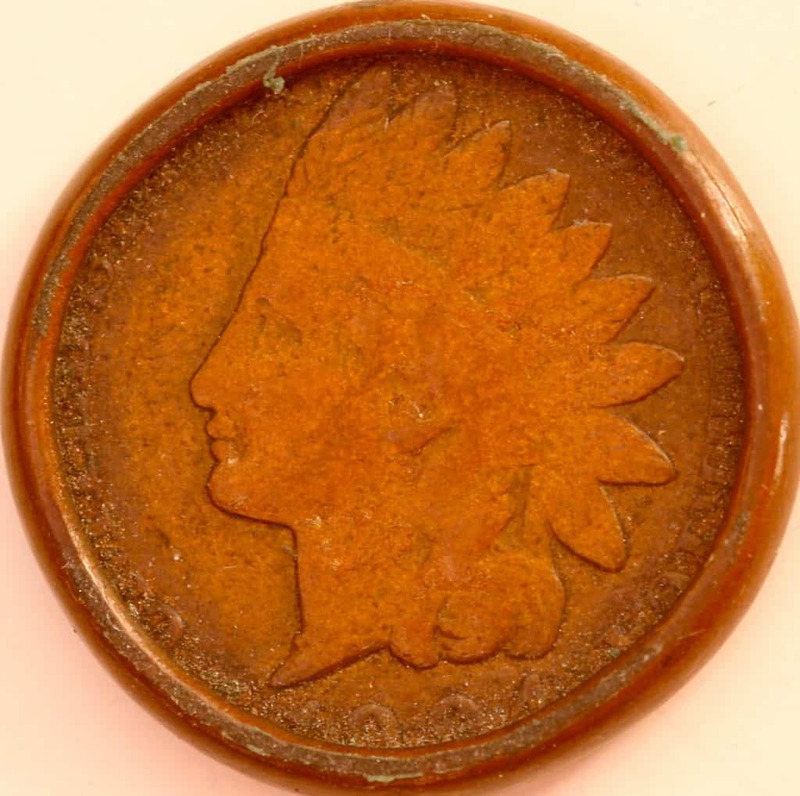 The Indian Head Penny is a very unique one cent piece, produced in the United States from 1859 until 1909. Although not as well known as the Lincoln Memorial Cent, the Indian Head Penny was and still is seen as a very beautiful coin. Collectors still flock to the Indian Head cent due to its scarcity and pleasing designs. Longacre used a wreath with a bundle of arrows at the bottom as the main design for the reverse. A shield can be found above the wreath with the denomination “ONE CENT” found directly below. Consumers found this design to be simple but pleasing. An interesting fact about the Indian Head Penny was that in 1860 the mint switched from the regular bronze alloy to a copper-nickel alloy. The mint used this copper-nickel alloy up until 1864 when the mint returned to a bronze alloy. This was the only time in its 50-year production that the Indian Head Penny had a composition change. 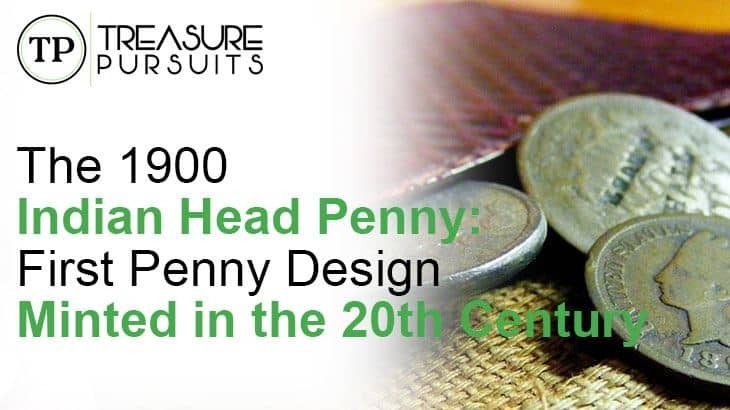 If you would like to learn more about Indian Head pennies and other collectible US one cent pieces, be sure to check out our Ultimate Guide to Pennies. As the date suggests, the 1900 Indian Head Penny was the first type of penny to be minted in the 20th century. A relatively large amount was minted in 1900, with the US mint reporting that 66,831,502 examples were produced. In the following years, Indian Head pennies would be produced in much larger quantities, and as many as 108 million would be minted in 1907. Like all other Indian Head pennies minted from 1964 till 1909, the 1900 Indian Head Penny weighs 3.11 grams and is 19.05mm in diameter. Denticles (small dots found on the surface of the coin near the rim) are present and no reeding can be found on the edges. Starting a collection of Indian Head pennies can be a very rewarding task. Most Indian Head pennies can be found for relatively low prices in average condition. Indian Head pennies minted from 1880 until 1907 can be found in “Good” condition for $2 or less a piece. Any coins before 1880 tend to be higher in price, with most examples retailing for about $5. There are some semi-key and key dates in the series that cost much more to acquire. Fillers for these key dates can be had for a fraction of the cost. A specific book made for storing your Indian Head Penny collection may be useful as this will help organize and protect your coins. These books, as well as most Indian Head pennies, can be found at your local coin dealer. Also, be sure to look at online coin dealers as they may have better prices than local dealers. If you do not want to put in the time of finding each year, some dealers have finished or half-finished Indian Head Penny collections. This method may cost more than buying each coin separately, but will significantly save time. Collecting Indian Head pennies is not only an enjoyable hobby but also a sound investment as Indian Head pennies continue to rise in value. Although less 1900 Indian Head pennies were minted than in the years following, the values are still relatively low as many examples have survived. The average 1900 Indian Head Penny will be in “Good” condition and is valued at about $1.50. Examples in “Fine” condition find a retail price of $2.50. Higher grade examples in “Extra Fine” condition are valued at $20, while coins in MS-60 jump to $40. These coins are much more scarce and are normally found graded by a third party grader. Third Party Grader PCGS values MS-63 examples at $65 and MS-65 at $195. Only 19 examples of the 1900 Indian Head Penny have been graded MS-65, resulting in the relatively high price. Even though the 1900 Indian Head Penny is not worth a significant amount today, their prices are rising. This price rise can be seen more easily in the coins that are in above average condition, but even average condition coins are becoming more scarce. If you do have a 1900 Indian Head Penny in above average condition, I recommend holding on to it as its value will only rise in the future.